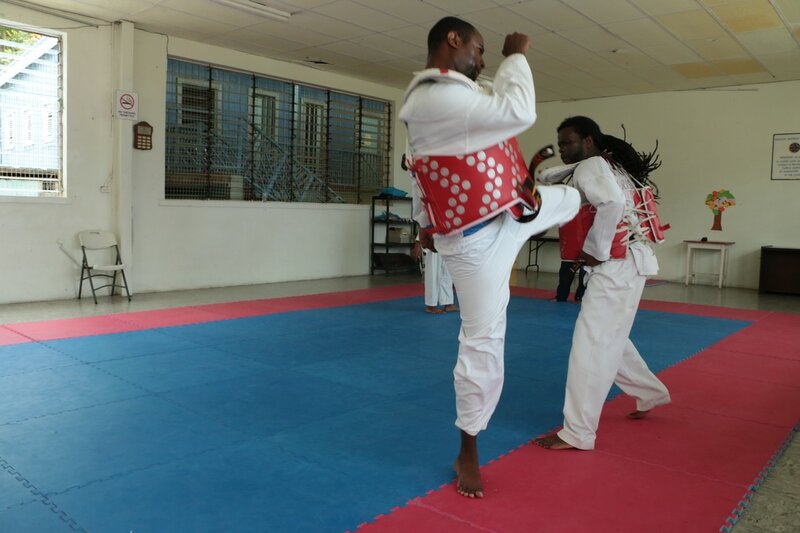 "To co-ordinate, promote and develop Taekwondo in Barbados"
WHITE HALL, ST. PETER, Barbados - The Taekwondo Association of Barbados performed a live public demonstration during the community outreach 2019 IDSDP Multi-sport rally hosted by the Barbados Olympic Association. 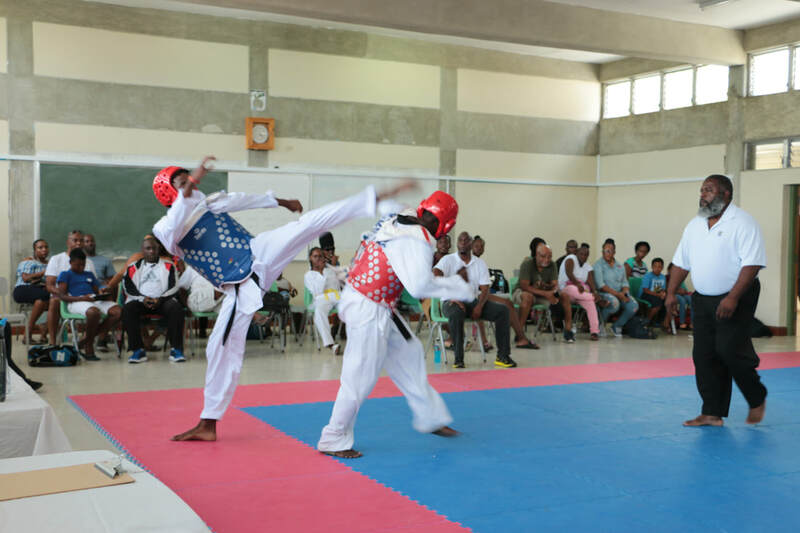 Those present included various Sports Officials, community leaders, athletes and residents, and they witnessed performances of Poomsaes, Self-defense, and Kyorugi. There were also drill demonstrations of various Taekwondo techniques and some of the youth on hand had an opportunity to try performing some of the drills. Above, Alleyne and Lyte (centre in blue shirts) stand (L-R) with President Turton, Instructor Anthony Williams, 2017 WT President's Cup Gold Medalist - Liana Best Smith; Events Committee Chair Renee Best and Clubmate Joshua Simpson. Below, Master Williams sharing some guidance for Alleyne (backing) and Lyte. CHRIST CHURCH, Barbados - Two of the Men's Senior National Team members - Askia Alleyne and Neilon Lyte were seen off at the Grantley Adams International Airport earlier this afternoon. They were on their way to Santo Domingo to compete for Barbados and earn a spot in the 2019 Lima, Peru Pan American Games - which itself is a qualifier for the 2020 Olympic Games. On hand to lend support and see them off were members of the Executive Council, Technical Committee, and some of their Club mates from Williams Taekwondo Dojang. Their Instructor - Anthony Williams was present to provide final words of advice and expressed his pleasure with the present state of conditioning of the athletes. 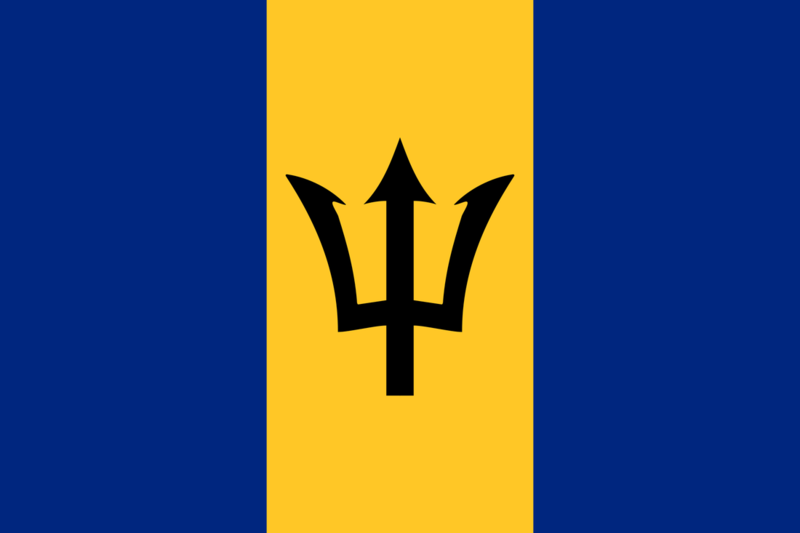 President Turton also expressed satisfaction with the Team's preparations and the significance of this outing, stating that it shows "Barbados is back!" 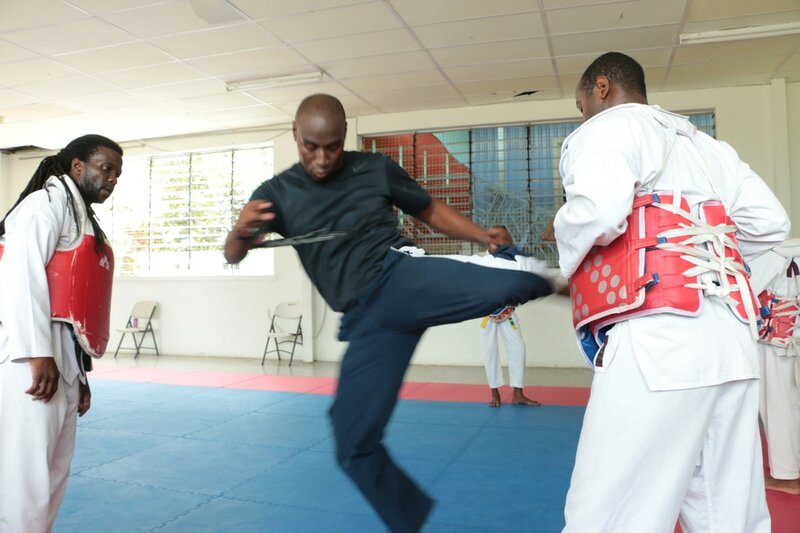 He was happy that Taekwondo in Barbados was once again formally engaged in formal Olympic qualification Cycle having missed out on the process in 2015 and was looking forward to the Team representing the country well. Alleyne is drawn against 18 of the best from Pan America in the Men's 80+kg Kyorugi whilst Lyte will compete against 23 of the best from Pan American region in the Men's under 68kg Kyorugi. Both Alleyne and Lyte are the reigning National Champions in their respective categories. Whilst Lyte is new to this level of competition, Alleyne returns having represented Barbados as far back as the 2005 US Open. He also participated in the 2017 World Taekwondo Championships Training Camp in Muju, South Korea. The team is set to return on Sunday 10 March 2019. Above, action from the Men's Heavyweight exhibition contest. Below, all Kyorugi competitors and officials perform the Il Jang Poomsae in unison to the delight of all in attendance. Click the button below for results from the competition. ​BRIDGETOWN, Barbados - The 3rd Annual "Get Ya Feet Wet" Competition lived up to its name as the National Association kicked off its 2019 calendar of events with a well-contested event. Athletes showed keen edge and high spirits as they returned to competitive action following the Christmas Holidays. There were also a number of new faces and players making their Kyorugi debuts. There was even a Guest Official as Master Zach Miner from Iowa, USA shared in Referee duties. He also paired with our newest Female Cadet 1st Poom, Liana Best-Smith of Williams' Taekwondo Dojang in a dual synchronized exhibition of the Koreo Poomsae which brought warm applause from those on hand. Also performed was the rare mass rendition of the Il Jang Poomsae, as all competitors, referees, judges and officals donned their Doboks and stepped onto the mat to perform the Poomsae in unison to the delight of all in attendance. ​After the medal ceremony President Turton congratulated the athletes on their great work. He also highlighted the efforts of the Executive, Events and Referees Committees, encouraging all to maintain excellence. A representative from Azure Gourmet Skin Care products was also on hand as the company donated an Apple Monitor/ Screen for display of scores during the Association's Taekwondo Activities. 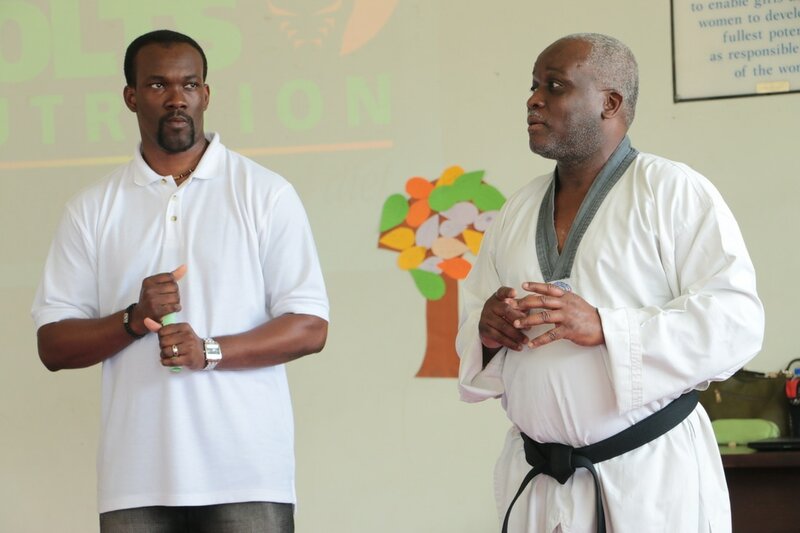 We thanked Mr. Burnett for the donation and encouraged him to continue the pursuit of excellence as Taekwondo is about the journey and way of life which extends beyond the mat, Dojang and competition. Registration is now closed for Sunday's 3rd Edition of the Annual "Get Ya Feet Wet" Tournament to be held at "Pax Hill", Girl Guides Head Quarters, Belmont Road, St. Michael - 10th February 2019. 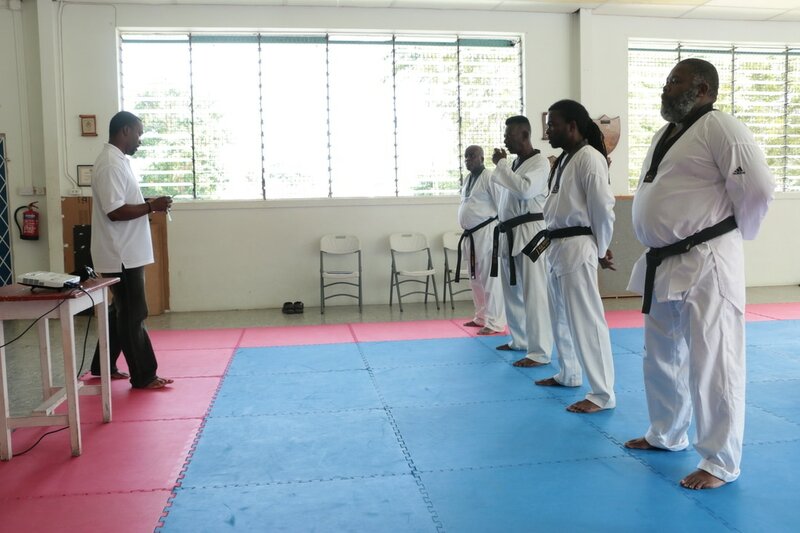 BRIDGETOWN, Barbados - Congratulations is extended to students from the Williams Taekwondo Dojang on their recent promotions following successful grading at the Club on 14 December 2018. Amongst those being promoted was Liana Best-Smith who became the Association's newest female Cadet 1st Poom (Black Belt). Other successful examinees earned promotions to the ranks of Red Belt, Blue Belt and Green Belt. Students and Instructor alike are once again congratulated and encouraged to continue their excellent work!